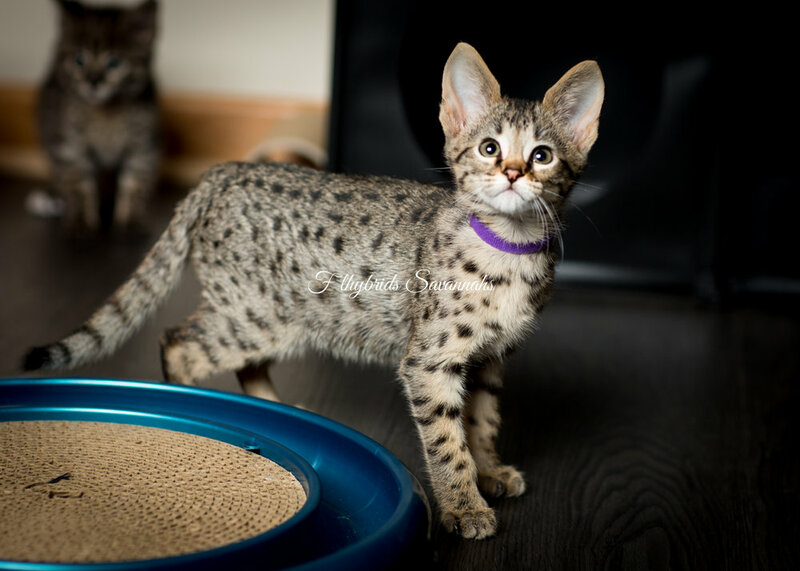 Mya is a brown black spotted female with tall ears and clear horizontal spotting pattern. 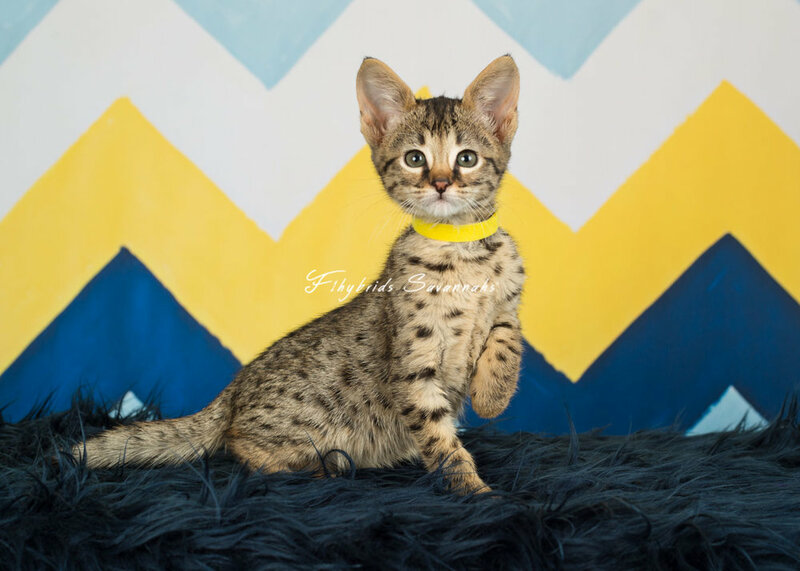 She very playful, cat wands are a sure bet to winning her heart, responds very well to treat training, not a lap cat and independent in nature but will seek you out if you are out of sight. See her full sister Abigail for full sibling example. She is fixed, micro-chipped, rabies, heart ultrasound clear and up-to-date on age appropriate shots.